1. 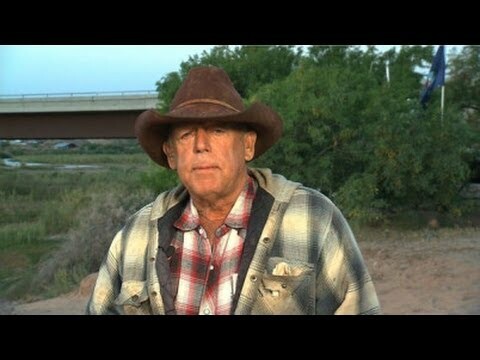 Mr. Bundy seems to think that the US is still an agricultural economy. Less than a million US workers toil in agriculture. There are 122 million Americans in the labor force, so that is less than one percent. African-Americans are 11 percent of the work force, or 13.4 million. Even if all agricultural laborers were African-American, which they are not (and why should they be? ), that could not absorb even ten percent of the African-American work force, much less cotton-picking within the agricultural sector. Agricultural workers only make $18,000 a year on average, so such work cannot lift a family out of scarcity. 2. In fact, African-Americans are largely urban, and many suffer from high unemployment rates because of discrimination against them by white employers. They need job training, but not in cotton picking. Unfortunately, it is the GOP that has cut job training programs. 3. It isn’t taking food stamps that makes you a slave. It is being deprived of liberty, and part of liberty is a guarantee that you and your children won’t starve. The Declaration of Independence spoke of life, liberty and the pursuit of happiness. All Americans are owed the maintenance of life, i.e., enough food to live on, by the government, when they fall into unemployment or dire poverty. It was slavery that caused the health and diet of African-Americans to deteriorate. When the Tea Party Congress slashes aid to dependent children, who do they resemble? 4. The US government is not aborting African-American babies. African-American women are exercising their right to reproductive choice. Denying African-American choice or agency is what resembles slavery, not the woman’s choice to terminate an unwanted pregnancy. It was the slave owners who controlled African-American women’s sexuality and forced them to bear children so that the latter could be sold or made to work without wages. 5. White legislators and juries do in fact incarcerate African-Americans unfairly. They are only 13% of the US population but are 40% of the prisoners. There are clear differentials in how African-Americans are treated by the authorities. African-Americans who are imprisoned for felonies are typically deprived of the right to vote at all, a situation that has something in common with slavery. Parolees and former prisoners are still under administrative control. However, remedying this situation would require changes in legislation and changes in attitude, and Mr. Bundy’s party is opposed to both.